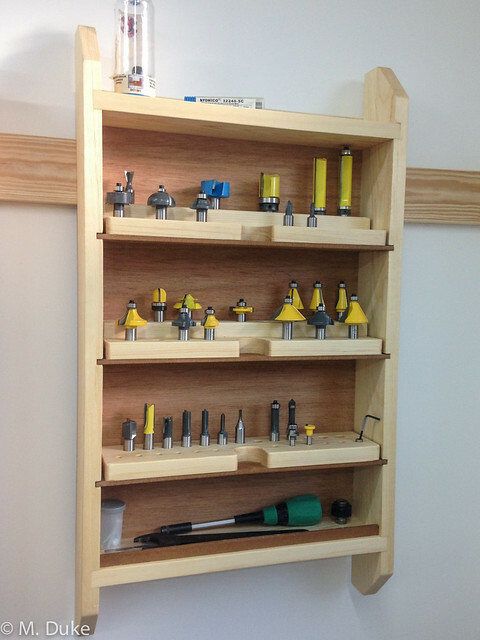 I needed somewhere for my router bits and loosely followed a design I found in ShopNotes #77. I only used scrap wood (mostly 1×4s), and was able to put it together last weekend. Held on the wall with a cleat and finished with a bit of danish oil. One day in the future I’ll likely do something a bit more complex with a nice door to keep dust out, but for now it helps keep things organized! I like it, simple yet elegant and well executed. Hey I need something like that! It looks like there is room for a couple of dunny rolls in there as well!